Mr. Khalil Sediq is the governor and chairman of the supreme council of Da Afghanistan Bank. He attained vote of confidence from the Parliament of Afghanistan on July 8th, 2015. Mr. Sediq has gained around 40 years of experience in the country’s financial sector and has served in different positions in the central bank of Afghanistan such as Director General of Foreign Trade Department in 1980, Director General of Research Department in 1981, first Deputy Governor of the bank in 1982, and got appointed as the governor of the bank in his first term of service as the governor of DAB in mid 1990. Later on, due to increased shadow of instability and civil war in the country in the 1990s, he moved to the United States where he worked in Sun Trust Bank of Silver Spring state of Maryland from 2001 to 2006. In 2006, he returned to the country and as per the request of shareholders of Afghanistan International Bank (AIB), Afghanistan’s largest commercial bank, Mr. Sediq took the responsibility of CEO of AIB and served the bank for around 9 years. At the same time, Mr. Sediq served as the Chairman of Afghanistan Bank’s Association (ABA) for more than two years. 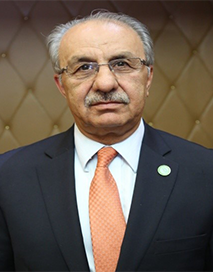 Mr. Sediq has also served as a board member of Harakat (Afghanistan Investment Climate Facility) from 2009 to May 2015, board member of American Chamber of Commerce in Afghanistan from 2013 to 2014 and board member of Afghanistan Institute of Banking and Finance from 2011 to 2014, and played a dynamic role in leading these agencies. Mr. Sediq has completed his higher education in Afghanistan and has received his degree in Macroeconomics from Kabul University in 1970.